Typically, the attendance of a workshop event in small towns would fall behind the scheduled time due to tardiness on the part of the participants. But a series of workshop that took place in two separate towns in different days on April 6 and 7 2017 displayed quite a different experience of an in-time attendance. The sensitization workshops organized by DSW were parts of the ongoing programmatic initiative to undertake implementation of a project called “Amplify Efforts to End Early Marriage” across three zones in the Amhara Region. Each zone delegates five or more participants mainly comprised health; women & children; and finance & economic development offices. After a brief DSW’s presentation on the concept of the project in which the causes and consequences of fistula were explained, the discussion among participants revealed the high level of needs in the community for the intervention to address fistula. Early marriage is almost universally understood to be one of the main causes for the prevalence in fistula. The workshops have presented evidence about the fact that most people at the community level do not want to take fistula lightly and they also understand fair enough how it occurs. And yet, few would take the courage to offer explanation as to why the prevalence of early marriage persists. “The practices of early marriage must have rooted in the tradition of our family value system for ages, hence the persistence of its prevalence”, says Yeshihareg Tafere, head of Women & Children Office at Sekela District. She further opined that “awareness alone hardly impacts the change in attitude among community who widely believe that marriage is a source of prestige for parents and, to say the least, it is also considered as a livelihood opportunity for adolescent girls. In fact, there is an age-old attitude still strongly blended in our tradition that customized the earlier the age of marriage for adolescent girls is the better before it would be too late for them. That would literally mean the younger an adolescent girl would be the better the chances to get a husband and only then she would not be left without one”, Yeshihareg who is a mother of two and got married at 22, has explained on record of her diligently fined observation during a one-on-one interactive discourse at the workshop. “Much as the early marriage practices viewed as a widespread phenomenon, there have been equally constant efforts to put a halt through concerted and coordinated partnerships among government structures, community and NGOs such as DSW”, stressed Amare Bale, West Gojam Zone’s deputy head of the health department. West Gojam is one of the three zones in which the project is being undertaken. The deputy head of the health department particularly appreciated the fact that DSW being consistent in ways its intervention modality embraces to partner those who have high stakes in the project. Preventing early marriage being at core, the objective of a one-year intervention during which efforts set forth to impact on the global campaign of eliminating fistula by 2020 drew a lot of enthusiasm from the stakeholders representing a broad range of community structures. In his words, Feyera Assefa, country director of DSW Ethiopia, offers explanation about an implementation modality one which he emphasized that “mainly hinges on the existing government and community-based structures”. He added, “As part of the project implementation modality, a set of strategies by which means we intend to attain desirable results were designed based on a tailor-made experience”. As much descriptive as he could be explicit, Feyera further summarizes the three strategies fit in the modality of the project implementation; “First, prevention of fistula in the context of addressing early marriage; Second, identification of fistula in relation with the referral services; Third, the rehabilitation efforts in line with the counseling and livelihood needs of those repaired fistula patients who are set to benefit from the project”. This project was launched earlier for a one year period phasing through January to December 2017. It has been designed to amplify efforts toward ending an early marriage practice in Amhara region. By the same token, the intervention set to address the problem of fistula. 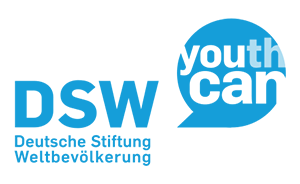 DSW in partnership with GIZ, German Society for International Cooperation, is an implementing organization. Fight Fistula Girls’ Clubs and other community-based existing structures play key roles in implementing partnerships at the grassroots.